Kansas City has been referred to as the "Paris of the Plains" since the 1920s, when journalist Edward Morrow wrote, "If you want to see some sin, forget Paris and head to Kansas City." He was referring to its rebellious spirit and creative culture during the jazz age that resembled the glamourous City of Light. Kansas City is also chock full of boulevards and fountains like Paris and Rome, but unlike the two European cities, its metropolitan area is currently lacking when it comes to fashion sense. Declared the 10th worst dressed city by Travel and Leisure, some Kansas Citians exude more goat couture than haute couture. Baggy sweat pants tucked into your leather boots or Chiefs gear 17 sizes too large just isn't a good look for anyone. Rest assured, we're not alone. Dallas, Phoenix/Scottsdale, Orlando, Anchorage, and five others were declared to be more fashionably challenged than Kansas City. 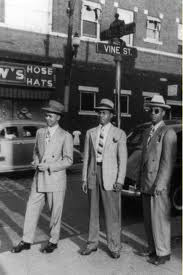 Christopher Swetala from GQ magazine wrote, "How does a city that fathered its own style of jazz back in the 1930s dress with such little manly swagger? Yeah, you're a laidback town, part of that real America, and sure, eating sauce-covered burnt ends and pork ribs can be messy. But let's grow up." 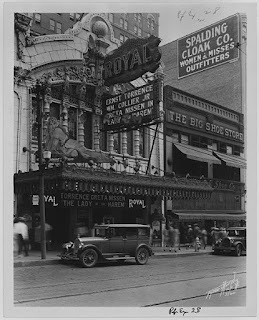 Swetala ended his article with some advice to Kansas City residents, "Hey, we get it: Going out for a pitcher and beef-on-bun doesn't require a jazzy suit, but no matter how you swing it, oversized and billowy ain't cool." It is very unusual for me to find an appealing textile at a local Kansas City store, but I did pick up a black and light pink polka dot fabric and pink chiffon to make this versatile dress. It took some time to get the fit just right, but turned out well. I had enough leftover fabric to also make a skirt. My only regret is that I didn't add pockets.